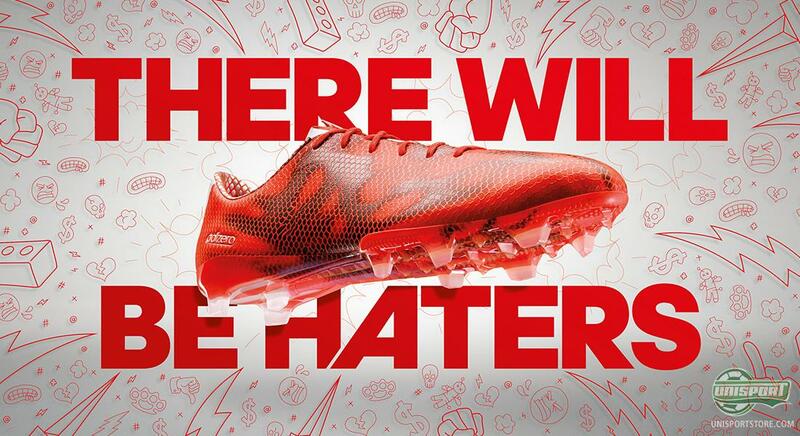 There will be haters. That’s the title of adidas’ new campaign. Running at the very front of the pack is the new generation of f50 adizero, which stands head and shoulders above its opponents. No one above, no one on par. This is adidas’ newest addition to the long line of lightweight boots that will be seen on the feet of some of the fastest players in the world. Get to know it here. The Last year adidas have delivered new generations for the Predator, Nitrocharge and lastly the 11Pro. Now it’s the f50 adizero’s turn and it has no intention of holding back. 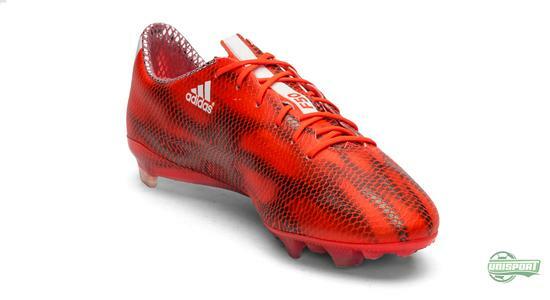 Adidas’ lightweight boot has been at the very forefront of football boots ever since it was unveiled in 2004. It has been a fight with weight for adidas, who have continued to reduce the weight from generation to generation, with the last version weighing just 150 grams. Is this just what you have been waiting for? You can find the newest f50 adizero Haters Pack right here. Now however it does look like adidas have found a new formula for their speed boot. The team behind the new f50 has added a bit of extra bulk to the boot, so it now clocks in at 195 grams. This is a completely conscious and natural development in the construction of lightweight boots. It has with time become more and more clear that low weight, doesn’t necessarily mean speed. 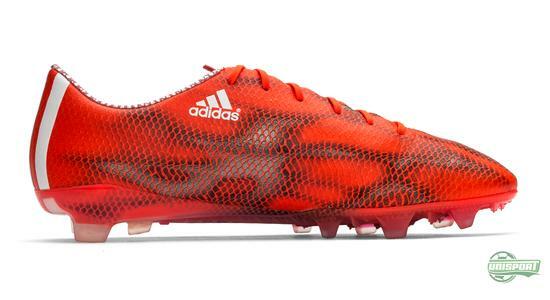 Other elements come into play and this is what adidas have tried to incorporate on the newest generation of the f50 adizero. If we start in one of the areas where things haven’t changed, the upper is still made from the super soft Hybridtouch, which gives the leather-like comfort that made it so popular. On the inside adidas have also lined the boot with synthetic suede, which due to its soft upper, gives extremely good comfort and is still thin enough to stretch and form itself to match your foot shape. This is about where the similarities end. 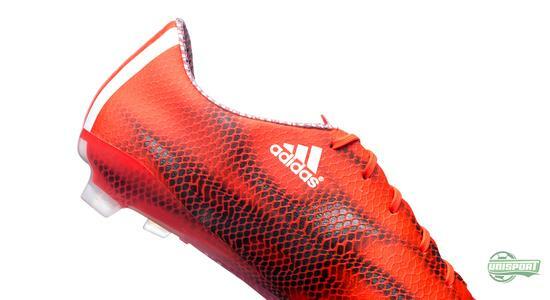 The rest of the boot has been given either minor or major overhauls, which makes this f50 adizero more stable, comfortable and sharper than ever before. The Speedfoil has been removed to make way for a single piece upper, which provides better stability. This has naturally had a large impact on the weight, but based on athlete feedback and studies, adidas’ team have concluded that it was a beneficial trade-off. Let them hate you. 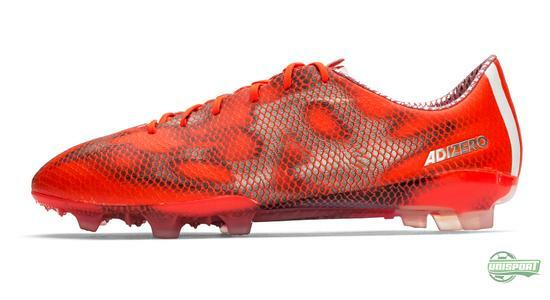 They just want to be you and have your new f50 adizero. On the upper itself adidas have taken their f50 to a new level after creating a new 360 degree 3D dribbletex structure, which helps give you better friction between foot and ball. The Dribbletex is a technology we know from previous models, but on this boot adidas have made the concept more aggressive and placed it all over the upper. The point of this was to improve the grip in all weather conditions and especially in wet and slippery conditions, where the ball tends to slide of your boot. The new f50 adizero is made on the same last as the previous model. On the other hand the nose of the boot has been given a slightly more rounded shape, after adidas received feedback that it was too pointy. 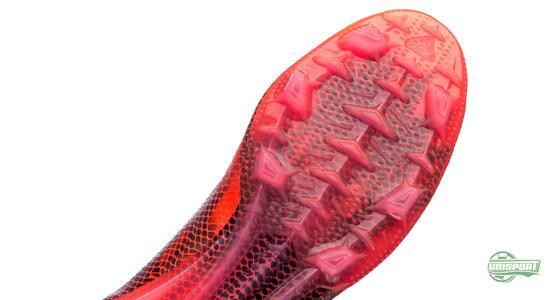 Stability was definitely a keyword during the production of the new f50, because on top of the previously mentioned new features, the instep has also been made higher. 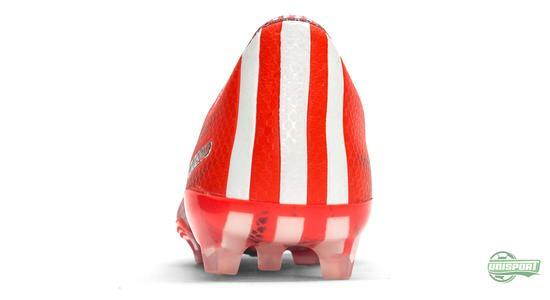 This gives a football boot with fewer pressure points and offers a more personal fit. 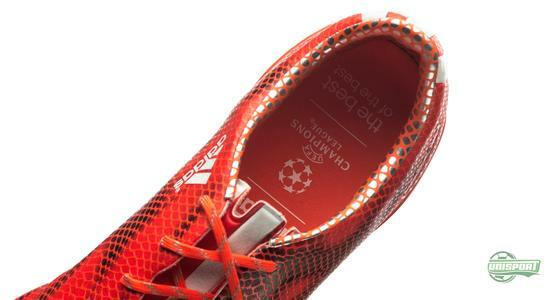 Another area, where adidas have attempted to create greater stability and therefore greater comfort is the heel counter. On the inside the material is made with a soft, almost fluffy synthetic material, which covers the heel and creates firm lockdown. At the same time the heel counter has been made slightly higher than before to keep the foot locked in the boot better. 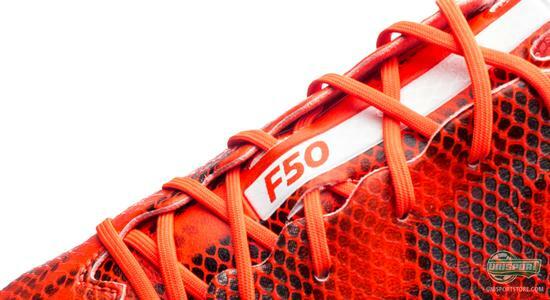 Are you loving the new generation of f50? Then find it right here. And we are far from done, because if you we have a look underneath the boot we see a new and innovative stud-configuration. 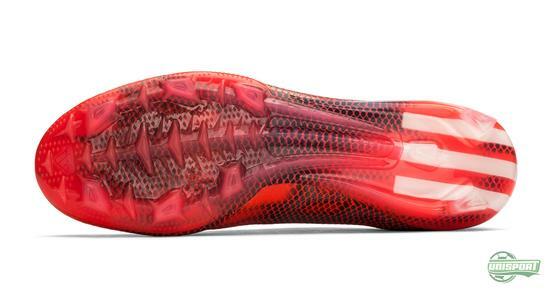 Adidas have been creative and drawn inspiration from 100 meter sprinters and their shoes, which demand a very special grip, to properly capitalise on their speed. That’s why adidas have also added these sprinter spikes that run down the middle of the foot. The thought is that when a player has to accelerate, you need a more aggressive construction. Just like the one the 100 meter sprinters need. Believe it or not, that’s not all! Underneath the heel adidas have also changed the placement of studs and now made a construction with three studs, which form a triangle. The middle stud delivers stability, but also works as a stop-block to give a more firm grip on the pitch. The two furthermost studs are naturally necessary to give the right balance between the front foot and heel. The shape of the studs is the same as the one on the adidas Speedtraxion system and is something adidas have chosen to keep a hold of on this generation. And then lastly there is of course the new design, which adidas call “ghost graphic”. A graphical design that gives a dynamic and explosive effect. 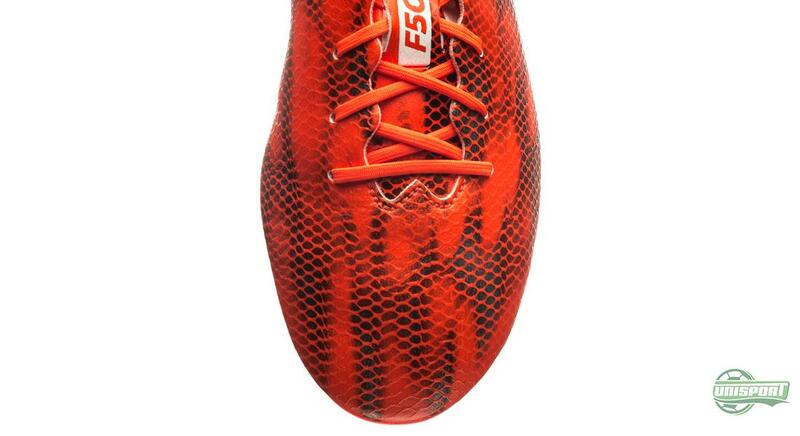 At the same they have moved the three stripes to the back of the heel, both to give a new visual expression, but also to make room for the innovative design, which is sure to make anyone who doesn’t have the new f50 jealous. And you will probably get a few jealous words on your way, but just remember, there will always be haters and they all just wish they were you. Give them something to talk about. 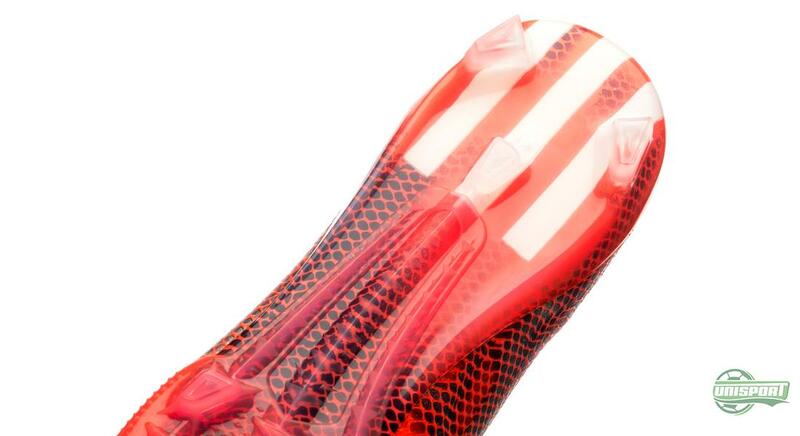 Find the new f50 adizero right here. There is a good reason to be happy today. 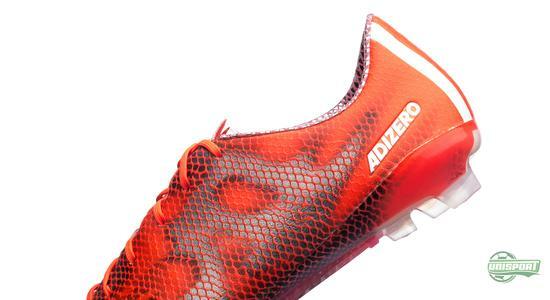 Adidas have delivered a brand new f50 Adizero and it’s not just a new colourway, but a completely new generation, with plenty of new and innovative elements. We definitely look forward to really getting close to the new lightweighter from adidas, but what is your first impression?